Useful for a New Zealand theme, Waitangi Day or even prior to a visit to this lovely country, our New Zealand printables for kids give you some facts about the country, variations on the New Zealand flag, and outline maps. 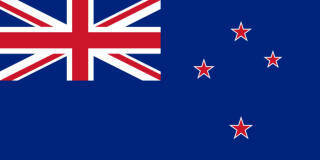 Find out some quick facts about New Zealand with this printable fact sheet with map. 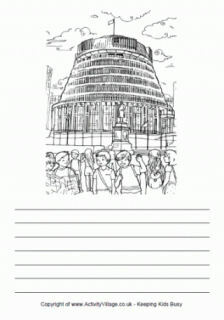 Just for fun, print out and fold up this little booklet with a collection of New Zealand slang to practise and enjoy with the kids. You will need instructions for our origami booklet. 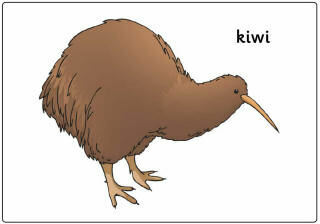 Print this fun colouring map of New Zealand's islands with landmarks, animals and birds marked on it. Here's a useful outline map printable of New Zealand in three versions - one completely blank, one with borders marked and one annotated.